Spring is upon us and you’ll soon be caught up in a frenzy of seed sowing and nurturing your garden. Before you jump in, schedule time for essential garden prep work. You don't necessarily have to manicure the garden now. 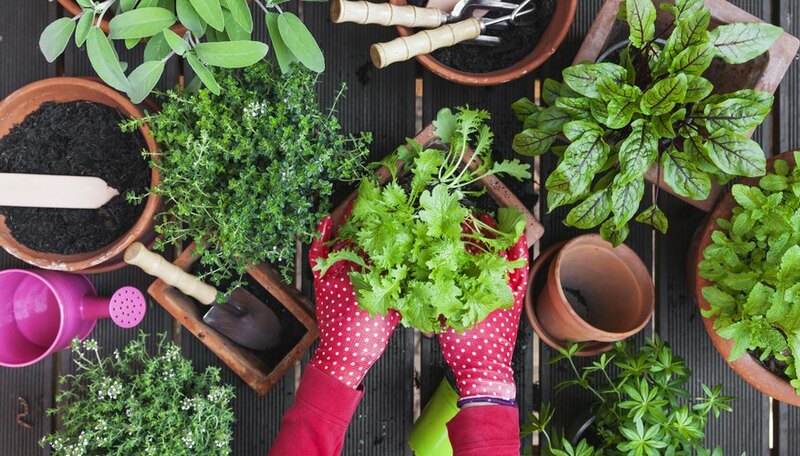 Just tackle the top seven prep priorities, from getting garden tools in good shape to weeding the garden beds. To seed, you need seeds. If you haven't made your final decisions on what to grow, now's the time. Evaluate last year's garden and eliminate the flowers that did poorly and the veggies your family wouldn't eat. If you order early, you'll have a wider choice at a cheaper price. And you'll also have a road map for planting your spring garden. Hand tools are the spring garden's unsung heroes. But if you want them to keep on giving, you need to give a little back. The first step for annual tool maintenance is cleaning. If you didn't take the time to get the soil off the tools in winter, do it now. Use a tough wire brush and oil them afterwards. Wipe wooden handles with mineral spirits to prevent splintering and sharpen pruner edges with a stone. Give motorized tools a tuneup, or take them in for one. This includes replacing oil, changing spark plugs and sharpening blades. Why wait until the slender weeds in your spring garden turn into deep-rooted, many headed monsters? Pull them out now while they are young and tender. This is especially easy when the ground is wet. If it hasn't rained in a while, hose it down. Weed beds and paths, too. Weeds are not likely to be the only intruders lurking in garden beds in spring. You are likely to find dead leaves, forgotten vegetables and other plant detritus, all of which should be removed. If you have a greenhouse, give it a thorough spring cleaning. It's the only way to rid it of overwintering pests as well as germs. Remove everything from the greenhouse, cleaning and disinfecting with soapy water as you go. Scrub down the glass to eliminate algae and mold. Look in corners and hidden spots for pests waiting to feast on tender seedlings. You may find slugs, snails, aphids, mealy bugs, and spider mites. Perennials are plants that bloom more than one year in your garden. The best time for planting potted perennials from the garden store is spring, and it's also a great time to transplant those that have outgrown their location. On a warm morning in spring, dig up the plant with as many roots as possible. Prepare a planting hole and carefully lower the root ball into it. Tuck soil around the edges and water the plant well. Turn all your veggie peels and rotting fruit into organic compost, an excellent product to use to enrich your soil. Some people buy a compost bin, but you can also get started by identifying a compost corner and just starting a pile. Add water and turn from time to time. When it is brown and crumbly, it's done.